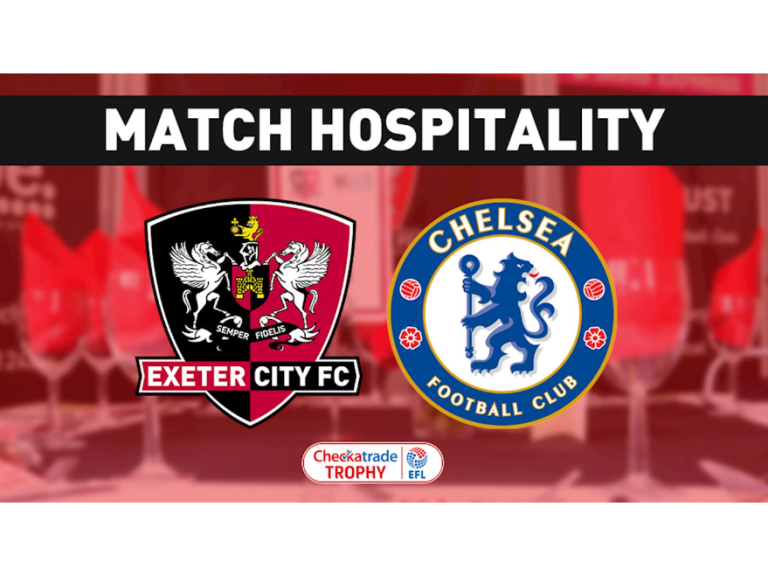 Match hospitality is now on sale for City's final Checkatrade Trophy group match against Chelsea Under-21s on Tuesday, November 28. Fancy watching future Premier League stars? Either for corporate matters or personal use, our matchday hospitality is one of the best ways to enjoy the City matchday experience. Cost: Adults: £30 Under-18s: £20 (Prices include VAT). To book please contact Jake Wood on 01392 413957 or email: jake.wood@ecfc.co.uk by 5pm on Friday, November 24.